If the weather is nice out, visitors can also embark on an Uxbridge sketch walk. We have the maps all ready. We just need some sunshine! 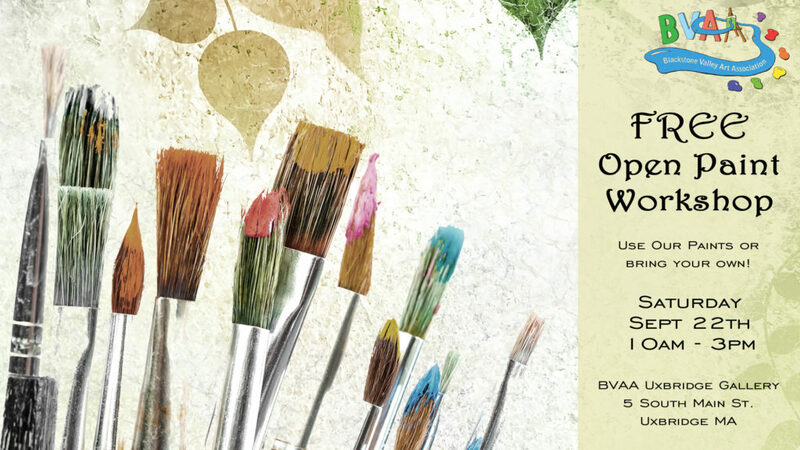 This is an open paint session where all styles of art are warmly welcome. Whether you’re 12 or 102, whether you’re a new beginner or a seasoned artist, we would love to have you. It’s completely free to participate in the open paint. You can bring your own paints or we’ll have watercolors and brushes to share.